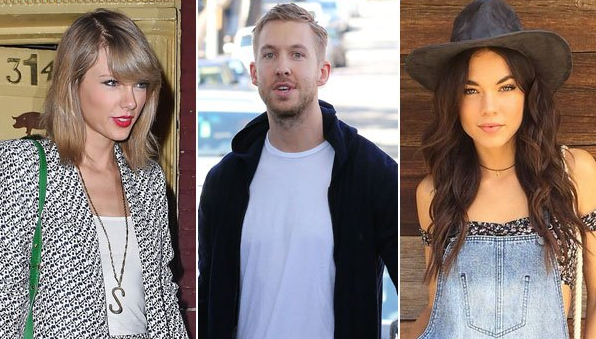 Calvin Harris and Taylor Swift crept around on his last girlfriend Aarika Wolf. The Scottish DJ reportedly cheated on Aarika and then 'pretended that the Taylor Swift stuff happened after' he ended his relationship with the model. New couple Taylor Swift and Calvin Harris are hit with a new rumor surrounding their romance. According to Confidenti@l, the "Blank Space" songstress and the Scottish DJ were hooking up when he was still dating Aarika Wolf. Sources tell the site that Calvin confessed to a friend that he was cheating on Aarika with Taylor before splitting. Taylor allegedly didn't know about Calvin's relationship with the model when they first hooked up. An insider says, "Calvin and Aarika met on the set of his music video 'Blame' in August, and they started officially dating in October. They were full-on boyfriend/girlfriend for about six months; totally joined at the hip." In early March, Calvin allegedly told his friend that he had cheated on Aarika and didn't know how to explain himself. According to the site, Calvin "waited a while for the dust to settle before stepping out" with Taylor in late March. They were first spotted together at a Whole Foods in March 25 and showed some PDA at a Kenny Chesney concert two days later. "He ended up breaking up with Aarika, and then just pretended that the Taylor Swift stuff happened after (the breakup)," the insider claims, "Aarika probably knows now that she was cheated on." The insider believes what Calvin did to Aarika wouldn't lead to a great romance with Taylor. "It's awkward because Calvin's friends are very much the late-night club and DJ crowd; Taylor doesn't seem to fit in. Calvin's friends think he's doing it because it's good for his profile - and he kind of thinks it's funny," the insider says. this PR stunt with calvin harris is to cover up the fact that taylor is dating that model chick, kylie or karli or whatever.